Financial matters can prove tricky waters to navigate. The jargon of the finance world alone can make them difficult to comprehend. As such, it’s highly recommended that you seek out a Boise CPA to help you assess your financial assets and plan for the future. Below, we’ve listed five key reasons for you to speak with a Boise CPA as soon as possible. Generally, when we think of people who help us with our financial questions and issues, we think of accountants. While accountants are usually very knowledgeable in the finance field, they aren’t certified like CPAs are. CPA certification is a grueling process that takes places over a period of several days and hits on in-depth information about finance and taxes. 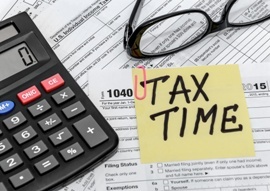 To maintain certification, CPAs must stay current with tax laws and regulation changes. As such, you should always be aware of any financial representative’s credentials. Be sure to ask to see them during your initial meeting. Since taxes take up a huge part of the CPA certification exam, CPAs will know more about tax law and preparation than most accountants. Of course, there are certainly some very competent accountants out there, but when it comes to your financial assets and taxes, it’s a safer bet to go with a CPA. 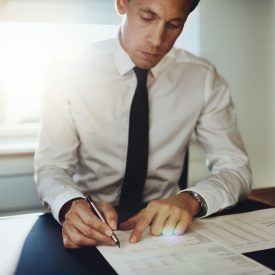 Much like a lawyer can give legal advice while paralegals and legal assistants can only take messages and relay legal advice, CPAs can give financial advice while accountants cannot. Before a CPA gives advice concerning your financial assets, he or she will examine the assets. This will entail reviewing reports and analyzing them. If you’re self-employed, this is an especially important aspect of choosing a CPA over an accountant. 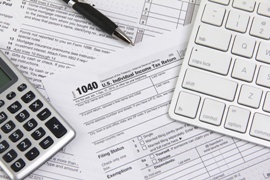 CPAs can examine your situation and see if and where they can help you save money on taxes. This reason alone should inspire you to hire a CPA. 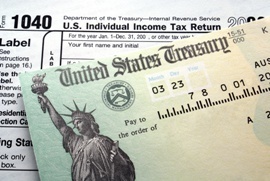 If the IRS should choose to do an audit of your taxes, a CPA can represent you fully. An accountant can represent you, but only in a very limited capacity. 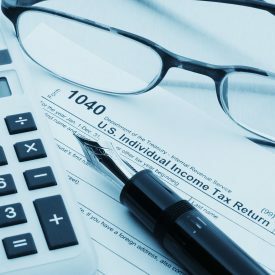 CPAs not only help you save money during taxes, they help tackle some of the more difficult financial situations that life can fling at us. For example, CPAs can help you improve your credit rating. One way in which they can help is shrinking the length of time it takes for your credit to recover. CPAs can also help you reduce your debt. They can help you manage it and plan your payments. They can also act as a buffer against debt collectors. Still Unsure? Feel Free to Contact Us! Please don’t hesitate to reach out to us! We’d be more than happy to help!